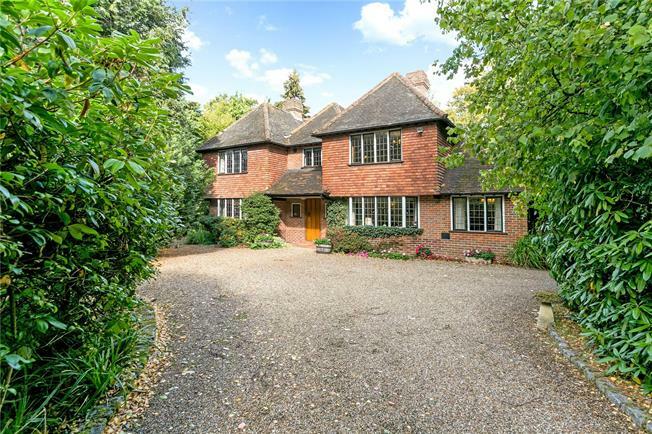 Detached House For Sale in Beaconsfield for Guide Price £2,250,000. A truly exciting and rare listing available to the Beaconsfield market. Set within a private level plot of approximately 0.707 acres, there currently sits modest period property which is in need of complete modernisation. The plot itself is ripe for redevelopment for a substantial new build dwelling subject to the necessary planning consent and is located in a highly sought-after location which has undergone significant change in recent times with a number of exquisite homes constructed in the vicinity. This opportunity could be perfect for those looking to construct their dream home in Beaconsfield's 'Golden Triangle'. Located on one of Beaconsfield's premier roads, about 0.9 miles from the mainline railway station (Marylebone 25 mins fast train). The M40 (J2) is about 2 miles connecting with the M25 and main motorway network. This property offers convenient access to the shops, amenities and restaurants that the town has to offer. Beaconsfield is ever popular for its local educational options with an array of well respected schools on offer. The existing property is nestled roughly in the middle of the plot allowing for a sweeping driveway and a good level of frontage. The grounds are mature and well bordered with a mixture of trees and hedging giving a secluded setting. The rear garden is mainly laid to lawn and is level. With some clever landscaping the gardens could really come to life and provide a fantastic set up for a family with children.